Some numbers become iconic to certain clubs, and at Valley Parade the number four means a great deal. After Bradford City’s greatest-ever number four departed for a second time in 2002, the gap he left behind proved colossal. Many people subsequently tried to fill Stuart McCall’s number four jersey, often with very little success. Meanwhile the club continued to tumble down the leagues; at times seemingly sleepwalking its way towards oblivion. It was left to the club’s greatest number four – by now the manager – to solve that conundrum. And in 2009, Stuart McCall unearthed a real gem in recruiting Michael Flynn. The experienced midfielder was exactly what was needed to lead a young team through some difficult times. Flynn played a key role in putting the brakes on the club’s decade-long slide. He gave everything to the cause and was warmly loved by supporters for it. At last, a number four you could rely upon. Across three seasons, Michael Flynn played over 100 games and netted 14 goals for the Bantams; it would have been more but for a bad injury picked up at the beginning of his second year. If you include caretakers, he played for six different managers over that period. Turbulent times for sure, and it is a shame for the player that he was not around to experience the club’s long overdue success. Now playing for his hometown club Newport County in League Two and recently awarded the additional responsibility of managing the club’s youth academy, Flynn took time out of pre-season to talk to Width of a Post about his three years at Valley Parade. 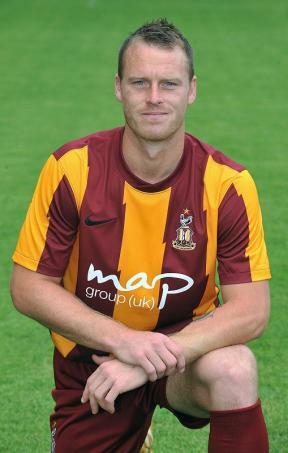 WOAP: You joined Bradford City in the summer of 2009 after a season at Huddersfield. How did the move come about? MF: Well basically once Stan Ternent had left Huddersfield that season, we had a new manager come in (Lee Clark) and he wanted his own team – even though at the point he came in I was the top scorer. They sent me on loan to Darlington at one point, but I returned and managed to stay at Huddersfield until the end of the season. That summer, I heard that Stuart McCall was interested but, to be honest, I left it a few weeks. Eventually I came to an agreement with Huddersfield; and as soon as I spoke to Stuart, Bradford was the only place I was going. I had a couple of offers to stay in League One, but I decided to sign with Stuart. He was unbelievable; such a gentleman, and he seemed really honest. That and the chance to play for Bradford, who were a huge club even though they were in League Two, was too good to turn down. WOAP: At the time it was a squad that had just been rebuilt due to budget cuts. What were your first impressions of the club and the players in the dressing room? MF: It was hard times to be fair. During my time I think the club were close to administration a few times. It was a bit frustrating to be honest because I would have loved it to have been my time when Bradford got promoted. But it wasn’t to be. We had a really good team spirit that first season, a good bunch of lads. It’s just unfortunately the quality wasn’t there. We were missing probably three or four players. WOAP: What did you make of Stuart McCall as a manager? MF: He was unbelievable. He was absolutely superb was Stuart. So honest, so determined. He loves the club inside out. Wayne Jacobs was great as well. Stuart had the same thoughts as I did when he went to Bradford – letting his heart rule his head. He wanted to get them promoted, as did I. Unfortunately we didn’t get our dream, but I guarantee that we were both as happy as each other when Bradford did actually go up. WOAP: Peter Taylor came in and made it clear you were a key figure for the club. What was he like to play under? MF: Peter Taylor was brilliant. He was a lot firmer than Stuart, but one thing I loved with Peter was you knew where you were with him. There was no airs or graces: if he didn’t want you he was honest about it. Peter was very tactical and I’ve taken a lot of things that I learned from him into coaching. In terms of tactics and preparations, he was spot on. In the summer that he was made permanent manager I had a chance to go back to League One with Leyton Orient, for more money. But I decided to stay and signed a new two-year deal. I wanted to carry on playing under Peter, and we both genuinely thought we could do something that season. But it was just one of those things, it didn’t happen. WOAP: Why do you think that was? MF: I think we were short up front, to be totally honest. We only really had James Hanson, and he had been playing in non-league only 18 months before. He has done really well and come on leaps and bounds, but with just him I don’t think we were good enough up front then. WOAP: Taylor went and then in came Peter Jackson. What was your relationship like with him? MF: It was fine, I got on really well with Peter. If I’m totally honest, I think Peter was there to be shot at. He wasn’t the choice of manager that everybody wanted, but he did his best like the man he is. He’d never do anything half-hearted. But being brutally honest I think he was the cheaper choice of manager. Still, I’ve got a lot of time for Peter and I still keep in contact with him. He’s a top guy. WOAP: The 2011/12 pre-season began with a Development Squad friendly at Silsden where you, Luke Oliver and Robbie Threlfall were involved – apparently all on your way out of the club. What was happening during this period? Were you being pushed out? MF: Yeah, I was being pushed out. They wanted me off the wage bill. I had a bad injury the season before, which was supposed to be a three to four-month absence. There was a lot of messing about with injections here and injections there, when I should have just had the operation straight away. I was actually out for nine to ten months. So it took me a while to come back. I wasn’t as good as I was in the first season, I’m happy to admit that. But I’m not one to give up and didn’t that pre-season. I obviously won Peter Jackson around and I won the chairmen around, and I went on to score another six goals that season. That includes the goal against Leeds, which was one of my highlights of my time at Bradford. WOAP: Indeed that goal against Leeds is warmly remembered, as it was part of such a brilliant night for us supporters. What are your memories of that night? MF: It was an unbelievable night. The Bradford fans were amazing, as they always were. Let’s be honest, Bradford fans had been through a lot. The fire, the administrations – but these things seem to bring the club and supporters closer together. If only we could have held on against Leeds that little bit longer at the start of the second half, I still think we would have caused an upset. The last thing we said before we came out after half time (City were leading 1-0) was ‘do not concede early’, but then we go and concede after 30 seconds. It was just a bit of naivety in the squad: we had players from non-league, and it was a young team. But we were unlucky to lose. As I said it was a great atmosphere, and the Bradford fans made that. WOAP: And then barely two weeks later, there was yet another management change. From your point of view you had only been at the club a couple of years but were already playing under a fourth different manager – what was that instability like? MF: Well we actually had six! We also had Wayne Jacobs and Colin Cooper as caretaker managers. All of the change was a nightmare to be honest. It was really hard. A lot of the players didn’t know if they were coming and going. The new manager wants to bring in his own players. It’s hard and unsettling. But at least now, with Phil Parkinson there, it has all settled down. I know there has been some changes this summer, but Phil has got the players in that he wants and I’m sure they will do well again this season. WOAP: What did you make of Phil Parkinson? MF: Phil and I got on really well. There was talk of me extending my contract, but then I got ill and was out for a while (December until mid-February). It was a tough time for me. Even though I came back and did quite well, we had already signed Ricky Ravenhill. And then in the summer there was myself, Ritchie Jones and Ricky who were probably among the higher earners, and one of us had to go. Unfortunately I was out of contract, and so it was me who went. But I do have a lot of time for Phil, Steve Parkin and Nick Allamby. I still keep in touch a lot with Nick. There were no sour grapes about leaving. WOAP: It must have been bittersweet to then see the club go on to enjoy such an amazing season in 2012/13. Did you follow their fortunes? MF: To be fair it was a win-win situation, because I wanted Bradford to do really well. I knew a lot of players. I have always wanted my old clubs to do well. The summer I left they seemed to clear their debts with the stadium lease and things, and they were able to get better players in. And they got their reward with the great cup run and promotion. MF: That summer I made the decision to drop out of the league. I could have stayed in League Two, but I wanted to go home as my daughter had started high school. I had been away for 12 years, so I thought the time was the right time to go back. Thankfully joining Newport has paid off because getting promoted (to the Football League in 2012/13) via the play off final at Wembley was unbelievable. I have had other promotions, but that was something special. 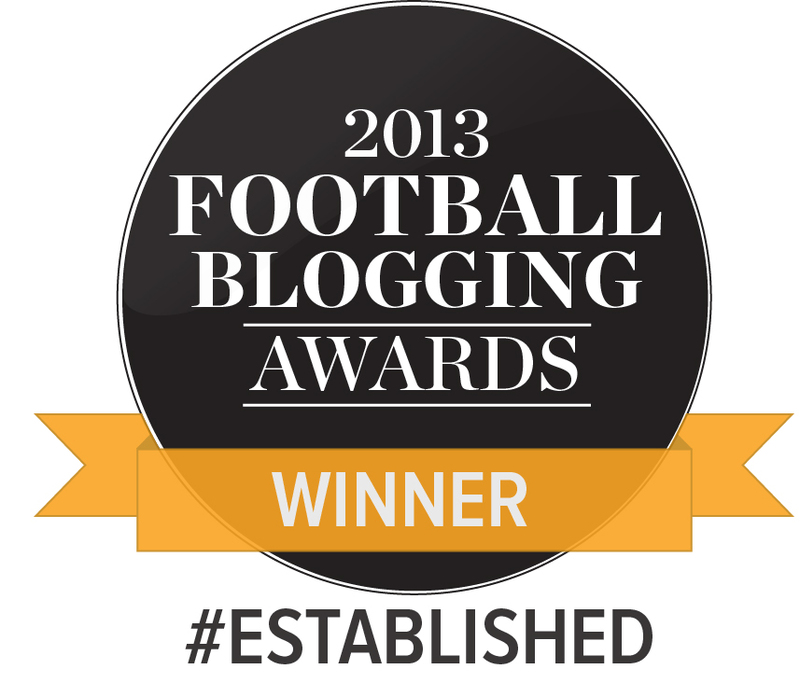 I didn’t enjoy the day though, only when the final whistle went! WOAP: You have recently being appointed manager of Newport’s youth academy, what does the future hold for you? MF: I will play as long as I can to be honest. I imagine it will be a lot less this season than last, where I played over 40 games. I have just done my A licence (coaching badge) which is something I have always been keen on. I am looking ahead to the next chapter of my life, but if I can play for another two or three years I would be delighted. If not, I will put in everything I’ve got into coaching. WOAP: Finally you have played for eight different clubs over your career, how did Bradford City compare? MF: Being totally honest, my time at Wigan was the best of my career – even though I wasn’t playing regularly. The team spirit was the best I have been involved in. We got promoted twice and reached the Premier League. I played with some brilliant players such as Jimmy Bullard, Leighton Baines, Lee McCulloch, John Filan, Jason Roberts and Nathan Ellington. Then I went to Gillingham which was great. I would say that Gillingham and Bradford were equal in terms of how much I enjoyed them. I felt wanted and appreciated, so I’ve got a lot of time for both clubs. I loved my time at Bradford even though it wasn’t the most successful for the club. It’s great to be able to say that I played for a club like Bradford. I am very proud of that. Click here to follow Michael Flynn on Twitter. Cracking interview Jason. Always loved Flynn’s passion at City, you could always tell how much every game meant to him and he was a brilliant midfielder. Interesting to hear his thoughts in detail like this and to know he’s doing well at Newport. Great goal against Leeds scum. What I find refreshing about this interview is the fact that he is honest e.g. ‘Wigan is his favourite club/time’. Makes it a better read. Always a 100%!